Nothing is more annoying than getting the perfect garment and finding out that it is hand wash or dry clean only. While most washing machines offer a delicate setting or a hand wash setting, there are some scenarios where you will need to know how to hand wash your clothes. There’s a science to washing clothes. Do it the proper way and your clothes will look fresh and fantastic every time. Do it improperly and you’ll find yourself spending a lot of money on replacement clothing. In this article, you’re going to learn the proper way. 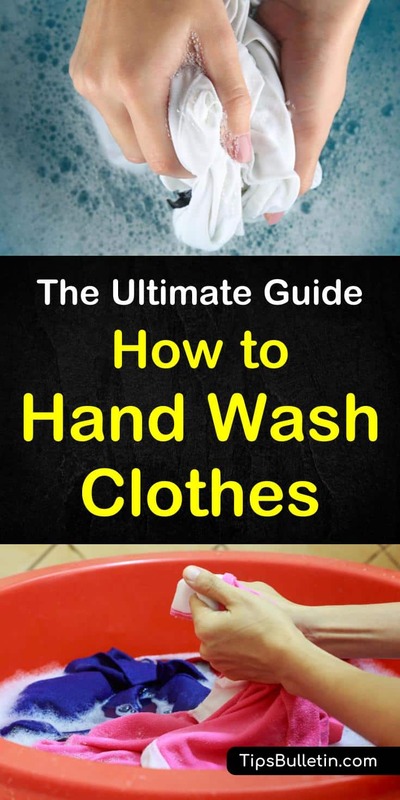 You’re going to learn everything from how to wash laundry by hand to the best detergent for hand washing clothes. Start by reading the garment’s label. The label will include any specific washing instructions. Follow the label precisely to prevent damage. If it does not list the type of detergent, use dishwashing liquid or a mild detergent. At your home, fill a sink or a small tub with lukewarm water or the temperature recommended on the garment’s label. Add roughly a teaspoon of detergent. 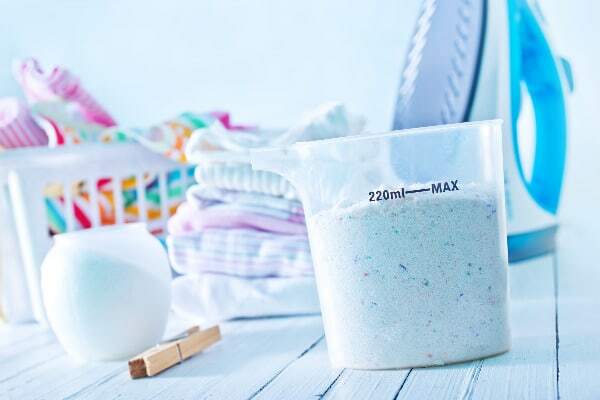 If you’re washing multiple items or a large item, you may need to add more detergent. Submerge the clothes and let them soak. Use gentle hand movements to swish the garment through the suds. Do not scrub or twist the fabric because this can cause the item to become damaged. Use a a mix of vinegar, baking soda, salt and peroxide to remove sweat stains easily. Continue to swish the garment for about two minutes, or until it is clean. Now that the clothing is clean, you will still need to remove the soap suds. Drain the sink and refill it with cool water for rinsing. Gently move the clothes up and down to help work out the soap. When the laundry soap smell is gone, your fabric is officially clean. If you used too much detergent, you might have to drain and refill the sink for another rinse cycle. Always check the garment’s care label (usually located on a side seam or behind the neck) before washing it. Colorfastness is a word that means if the garment’s color will or will not bleed. If the color bleeds, you can only wash it alone or with garments that are a similar color. You can test the garment’s colorfastness by getting an inconspicuous area wet and dabbing it with a white towel. If the color bleeds, the garment is not colorfast. You should never wash lights and darks in the same sink. Make sure you hand wash black clothes with a special laundry detergent for blacks, as otherwise, the dark colors will fade. A fine-knit sweater can lose its shape when it gets wet. Once you’ve finished washing, make sure to reshape it carefully when it is dry. Consider drawing the shape of the garment on butcher paper beforehand to make sure you know how the garment should look. An estimated 98 percent of dirt will soak out of your garments within the first five minutes of hand washing. If you oversoak the garment, it will not get any cleaner. All that will happen is that it will change shape, color or size with longer soak times. If the garment is only lightly soiled, you may need just two to three minutes of soaking in soapy water. 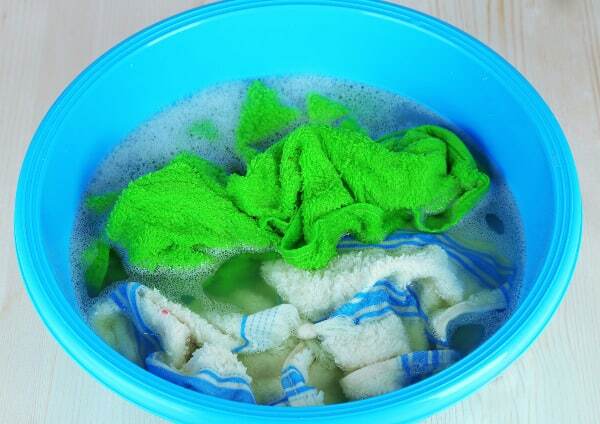 If you want to use fabric softener in your rinse water, about two teaspoons will be more than enough. Avoid pouring the fabric softener directly onto the fabric. Once the clothes are clean, you want to squeeze the water back into the sink. Avoid twisting the garment because this can damage it. Instead, lay out a white bath towel onto a smooth surface. Place the washed clothing onto the flat surface and pat it back into shape. You can then roll the garment up into the towel so that the towel absorbs extra water. Press the rolled-up towel. If the fabric becomes too wet, you can repeat this process with a dry towel. Generally speaking, it’s better to air-dry lingerie instead of press it. If you need to iron clothes, make sure to read the manufacturer’s label first and test out the iron on an inconspicuous spot. Always follow the label’s directions for drying the garment. For wool and cashmere clothes, you can use steps similar to the ones above. Considering the nature of the fabric, you can use a mild hair conditioner instead of a detergent to get it clean. As usual, read the manufacturer’s instructions carefully before washing. Avoid drying wool and cashmere in the dryer whenever possible, or you may end up unintentionally shrinking your sweater. Which leads to asking: Can you unshrink clothes? Numerous detergents can damage delicate items, so make sure that you pick the right type. The best detergent for hand washing clothes will be something mild like Woolite. Ivory liquid soap or baby shampoo will also be mild enough for your clothes. For beautiful silk garments, try using a few drops of hair conditioner to the final rinse to add an extra soft, silky feel to it. Wringing out delicate fabrics is one of the easiest ways to damage your clothes. If you have to remove excess moisture, lift the garment in both hands and gently squeeze it, and then roll it up in a towel. While aggressive scrubbing cleans your jeans, it can damage fragile fabrics. Use a stain remover designed to handle delicate clothes if you have to treat stains, by working the stain remover into the fabric gently with your fingertips. If you hang up delicate items, it will cause them to lose its natural shape. Fragile fabric or wool sweaters should be laid out flat to dry so that it retains its original shape. Hand washing your clothes is like bathing the fabric. You would never climb into an empty tub, so you should not do that to the fabric either. If you put the clothes in first, the force of the water from the faucet can stress out the fabric. 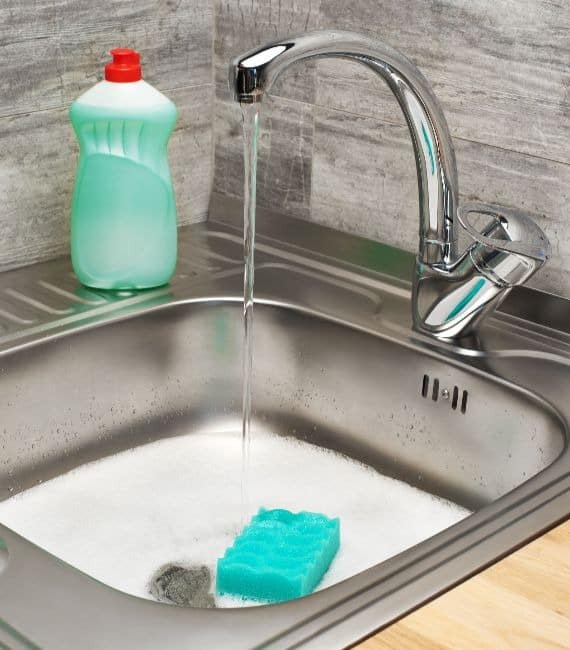 Always fill the sink first, add the soap, and swish the detergent in the sink before adding your clothes. Learning how to hand wash clothes can be a fantastic way to save yourself water and money on your electrical bill. You can hand wash any number of things, meaning that once you know how to hand wash jeans or how to hand wash bras and underwear, you’ll have your washing needs completely at hand (literally). In this article, you learned how to wash laundry by hand and the best detergent for hand washing clothes. Please use the buttons below to share to Facebook, Pinterest, and Twitter!